Get your Chocolate Almond Cold Brew Coffee Concentrate delivered right to your door with our twin pack! That's 64oz of Organic, Single Origin, Fair Trade Cold Brew you can make hot coffee, iced coffee, with or without milk for smoothies, protein shakes, lattes, you name it! Get your Caramel Hazelnut Cold Brew Coffee Concentrate delivered right to your door with our twin pack! That's 64oz of Organic, Single Origin, Fair Trade Cold Brew you can make hot coffee, iced coffee, with or without milk for smoothies, protein shakes, lattes, you name it! Get your Bourbon Honey Cold Brew Coffee Concentrate delivered right to your door with our twin pack! That's 64oz of Organic, Single Origin, Fair Trade Cold Brew you can make hot coffee, iced coffee, with or without milk for smoothies, protein shakes, lattes, you name it! Get your Dark Roast Sumatra Aceh Cold Brew Coffee Concentrate delivered right to your door with our twin pack! That's 64oz of Organic, Single Origin, Fair Trade Cold Brew you can make hot coffee, iced coffee, with or without milk for smoothies, protein shakes, lattes, you name it! Get your Medium Roast Nicaragua Segovia Cold Brew Coffee Concentrate delivered right to your door with our twin pack! That's 64oz of Organic, Single Origin, Fair Trade Cold Brew you can make hot coffee, iced coffee, with or without milk for smoothies, protein shakes, lattes, you name it! 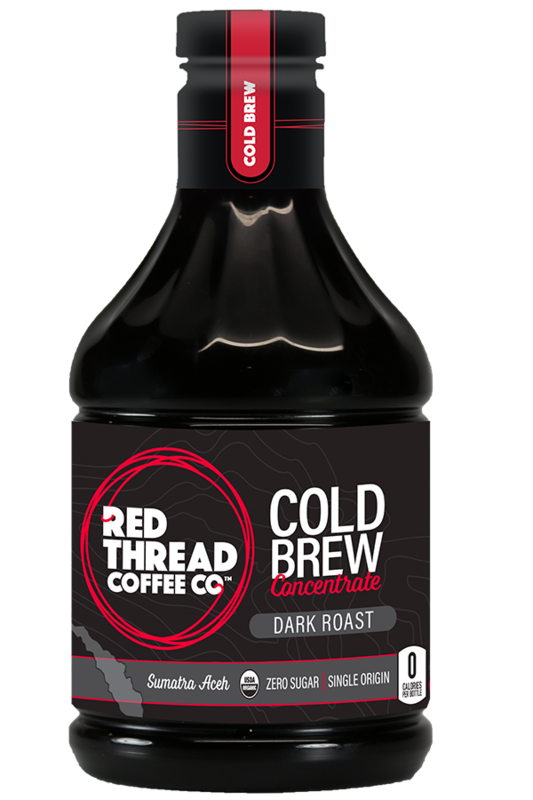 Get your Light Roast Ethiopia Sidamo Cold Brew Coffee Concentrate delivered right to your door with our twin pack! That's 64oz of Organic, Single Origin, Fair Trade Cold Brew you can make hot coffee, iced coffee, with or without milk for smoothies, protein shakes, lattes, you name it! Cold Brew Coffees with a hint of natural flavorings in our Flavor Infusion Pack. Whether you’re in the mood for Chocolate Almond, Caramel Hazelnut or Bourbon Honey, the Flavor Fusion has you covered. When you order the Flavor Fusion Pack, you are saving vs buying 6 individual bottles in store or 3 twin packs online! Do you like your coffee pure, simple and black? Maybe you just prefer no flavorings to your Cold Brew Coffee? If you answered yes to any of these questions, the Origin Pack for you. Enjoy the natural notes and flavors of our Dark, Medium and Light Roast Coffees from Sumatra, Nicaragua and Ethiopia. When you order the Origin Pack, you are saving vs buying 6 individual bottles in store or 3 twin packs online! When you order the Explorer Pack, you are saving vs buying 6 individual bottles in store or 3 twin packs online! Get your Purist Sumatra Whole Bean Coffee delivered right to your door with our twin pack! Organic, Single Origin, Fair Trade Coffee Beans that you can make make fresh coffee with, so good, it's Red Thread Good. Get your Purist Nicaraga Whole Bean Coffee delivered right to your door with our twin pack! Organic, Single Origin, Fair Trade Coffee Beans that you can make make fresh coffee with, so good, it's Red Thread Good. Get your Dreamy Whole Bean Coffee delivered right to your door with our twin pack! Organic, Single Origin, Fair Trade Coffee Beans that you can make make fresh coffee with, so good, it's Red Thread Good. Get your Dreamy Decaf Whole Bean Coffee delivered right to your door with our twin pack! Organic, Single Origin, Fair Trade Coffee Beans that you can make make fresh coffee with, so good, it's Red Thread Good. Get your Coconut Whole Bean Coffee delivered right to your door with our twin pack! Organic, Single Origin, Fair Trade Coffee Beans that you can make make fresh coffee with, so good, it's Red Thread Good.